There is a song, The Power of One, which conveys what one individual can accomplish and/or change. But, how much more effective is the power of two, or five, or ten, or a hundred, or more? In a technical light, a joint venture (JV) is a partnership between two or more entities for a specific project and for a specified amount of time. Quoting from Entrepreneurs.about.com, “According to the Commonwealth Alliance Program (CAP), businesses anticipate strategic alliances accounted for 25% of all revenues in 2005, a total of 40 trillion dollars.” So, it’s easy to see this strategy packs a wallop. This is the concept behind joint ventures for book promotion, and they are very effective. The idea is to hook up with other authors/writers and participate in JVs. 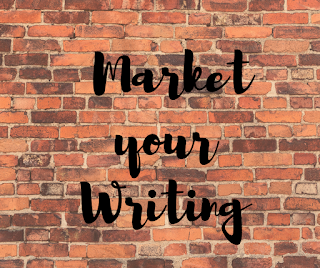 What this means is an author has a new book coming out and wants to reach more than her individual mailing list and social networks, she joins forces with writer friends or acquaintances to promote the book for a ONE DAY Promotional Power-packed Special. Suppose it’s your new book; you contact one to several authors who might be willing to put your prewritten promo on their sites and social networks, and (THIS IS THE VERY IMPORTANT PART) are willing to provide a freebie or a significant discount on a product or service to any one who purchases your book on that day. According to book marketing specialists, Brain Judd and Daniel Hall, this has the potential to put your book on Amazon’s TOP HUNDRED list in one or more categories – just for one day’s promo. Even participating in JVs has promotional benefits. I recently participated in a JV initiated by an author for her new book. For my participation I offered a FREE bonus gift, How to Create an Ebook and What You Can Do With It. I posted her promo content, along with my own, because I like to show my readers the marketing value in particular posts such as these. I then promoted the post to my social networks. For a little effort and time, you can increase your visibility and possibly your subscriber list. To have your participation be more effective, be sure to provide your links and offer your own products within your free offering. And, to create added value, you can allow the freebie to be shared, or portions of it reprinted with your tag/bio. Another scenario for book promotion JVs, in fact a more popular one, is to be approached by publicists. This has happened to me several times and I usually participate for the visibility factor. The publicist will put out a wide reaching call for participants for his client. Obviously, the more on board the greater the promotional reach and punch. But, even on a small scale, this marketing strategy is a gem. I couldn't agree more, Karen. Too many beginning wrters think competitively instead of cooperatively. I hope this important post gets around. I'm tweeting for sure! I haven't yet finished with my WIP but can still think of promotional offers I could make--complimentary editing notes on a first chapter for instance. All best wishes for the MG Fantasy Adventure--Walking Through Walls. Love the title. This is a really interesting post which I shall also be sharing online. Intriguing marketing information. I'm definitely interested in JV Partnership! Great article on joint ventures and how to market it, thank you very much. Thank you very much for sharing this article on marketing, I definitely believe in your idea as well.